Over the years, we have had many requests to write about the non-operative treatment options for those diagnosed with scoliosis. The clinical teams of Chiropractic-in-Malaysia have provided this article to explain the non-surgical treatment options for scoliosis. Before we get into the meat and potatoes of treatments, let's cover some basic information about scoliosis so that you may be better informed. Adolescent idiopathic scoliosis is a complex spinal deformity that involves lateral deviation, twisting of the spine and decreased sagittal spinal curvature. 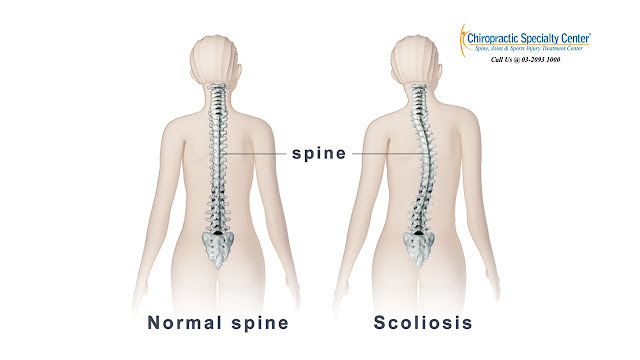 Over the past few decades, rehabilitation exercises have been part of the treatment program to manage and prevent the progression of the scoliotic curve. Recent research suggested that the development of postural deviation originates from a dysfunctional interaction between the central nervous system and body biomechanics. There are two main exercise approaches which are based on two different hypothesis for the development of scoliosis. The neurophysiological approach is developed based on the hypothesis that adolescent idiopathic scoliosis has a major central nervous system dysfunction. The other approach, namely the biomechanical approach, were founded on the theory that adolescent idiopathic scoliosis originates from a muscular imbalance. 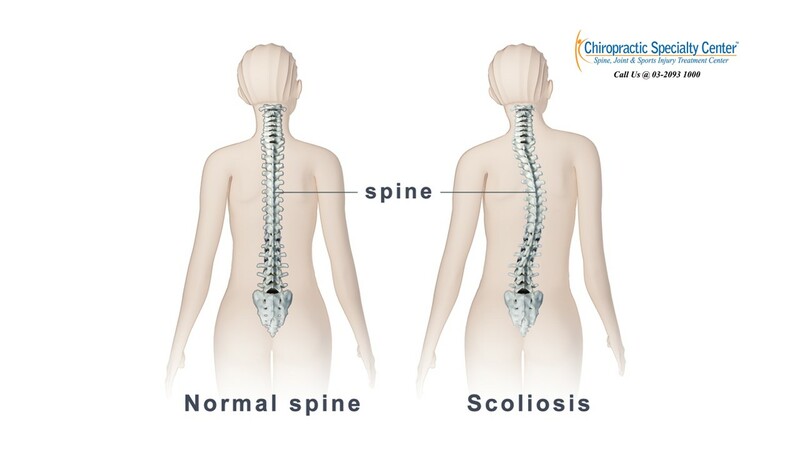 However, recent research showed that both central nervous system dysfunction and muscular imbalance contribute to the development and progression of scoliosis. Therefore, both approaches need to be included in the rehabilitation program in order to achieve better results. Understanding of the neural mechanisms of the motor and postural control and their interactions with body biomechanics and with cognitive systems is important in facilitating the rehabilitation exercise program for scoliosis. Mapping of the spatial coordinates and body awareness is a main role of the cognitive systems. All of the above-mentioned fields need to be explored and keep in mind while planning an effective rehabilitation exercise program for scoliosis. Learn more about non-surgical scoliosis treatment in Kuala Lumpur, Malaysia. Our methods of physiotherapy and chiropractic can help with moderate and even some severe cases. Call our center at 03 2093 1000 to set up your consultation with one of our clinical experts today.